It took roughly 10 weeks, but the Phillies finally found themselves on Saturday face-to-face with Bryce Harper. The Phillies -- led by owner John Middleton -- met Saturday with Harper and his agent, Scott Boras, as the team’s chase for a superstar led them to Harper’s hometown of Las Vegas. The meeting ended as expected without Harper’s signing a contract, yet there are still ways for both parties to label it a success. Harper met with Middleton, general manager Matt Klentak, and manager Gabe Kapler for a few hours on Saturday afternoon before the Phillies' contingent flew back to Philadelphia. The Phillies, according to a source, remain optimistic that they will end the offseason with either Harper or Machado on their roster. The market for Harper and Manny Machado crawled through the first two months of the offseason as both superstars have fielded limited interest since the end of last season. But the tides of a slow offseason may finally be shifting. The Phillies met last month with Machado, but they had not seen Harper since September, when he was inspecting the infield dirt at Citizens Bank Park while the Phillies grounds crew tried to dry it with flamethrowers. Saturday’s meeting came with better weather. The Phillies have now signaled to Machado, the free agent they seem to prefer, that they also have interest in Harper, which could prompt Machado to accept a deal before he watches Harper cash in on Middleton’s “stupid” money. By meeting with the Phillies, Harper and Boras are able to put the pressure on their other suitors and perhaps drive up the price a bit more. With 11 weeks until opening day, the market seems to be opening for the Phillies. They have long been expected to be the team that would offer the most money to Harper and Machado, but it was expected that there would be much more competition. The two in-their-prime superstars - both of whom hit free agency at just 26 years old - were expected to have a wide range of suitors as teams lined up for their service. Instead, the market has been thin which caused it to move at a leisurely pace. The White Sox -- who already this winter acquired Machado’s brother-in-law and workout partner and could be looking to add his gardener - are the Phillies’ stiffest competitor to sign Machado. It would not be wise to ever dismiss the Yankees, but the momentum for Machado to land in the Bronx continued to fade on Friday when the Yankees signed second baseman D.J. Lemahieu. For Machado, it very well could be coming down to the Phillies and White Sox. 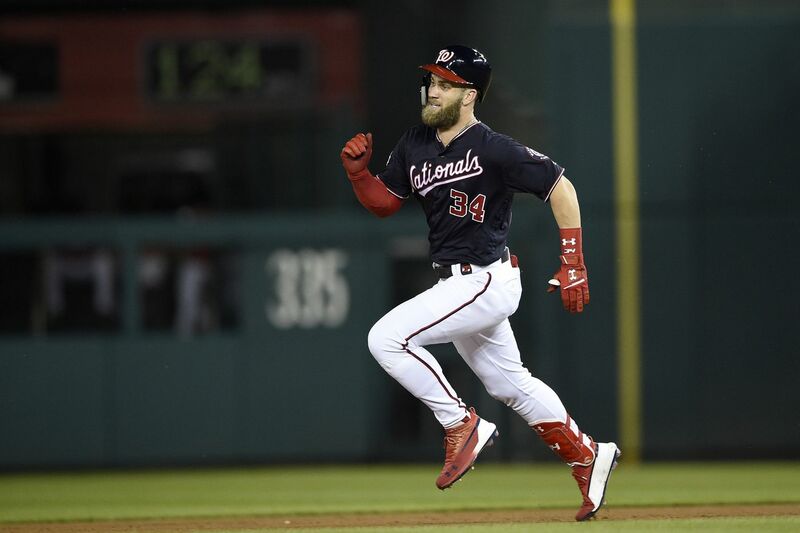 Harper’s free agency has stoked a bit more interest as the Phillies and White Sox are joined by the Nationals and Dodgers, but the seriousness of the Dodgers’ interest has been recently questioned. The Nationals backed off earlier this winter before returning to the race, perhaps a bit motivated to block Harper from landing with a division rival. Harper would likely prefer to land in Los Angeles, but the Dodgers are not willing to sign him to the decade-long pact that he is seeking. The Nationals, White Sox, and Phillies are joined together at the front of the pack. The Phillies are going to be finalists for both Harper and Machado. They will most likely be extending the most lucrative offers to both players, which means for the Phillies to lose out on landing a superstar, both players will have to take offers for less money to play elsewhere. That is hard to imagine as the driving force in free agency is almost always dollars. The odds of both players taking a discount are worse than anything the Phillies may have found this weekend in a Vegas casino.